I have recently been posting Stereophile reviews of groundbreaking products from Infinity in our archives. 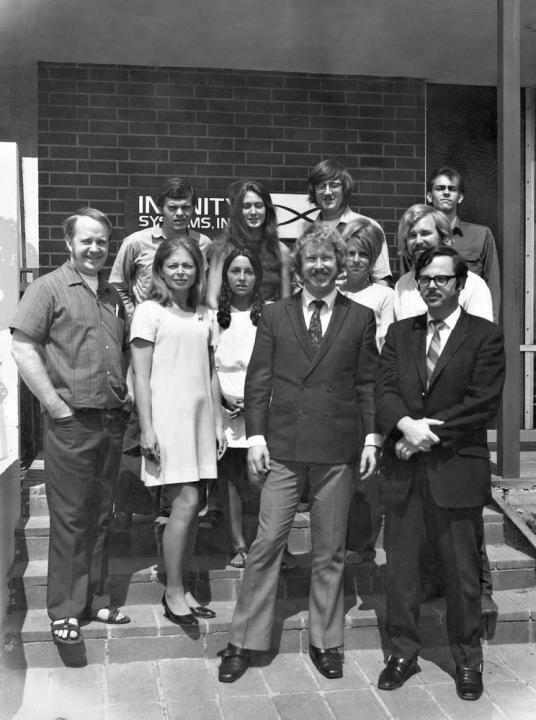 Industry veteran Randy Patton sent me this 1970 photo of the Infinity staff. The three founders stand left to right at the front: Cary Christie, John Ulrick, and Arnie Nudell. Is that Nancy Sinatra 2nd from left? Without the BOOTS of course.